Everyone loves strawberry shortcake. 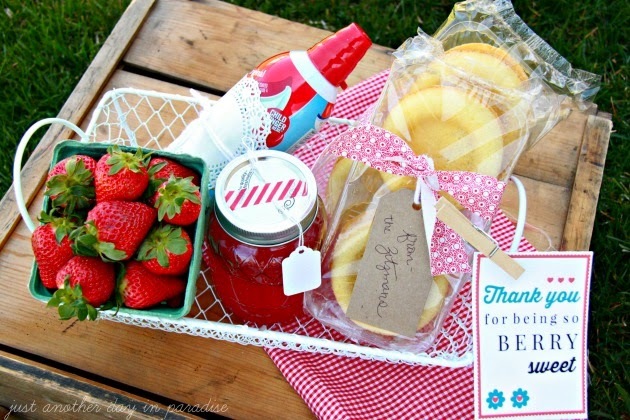 So when someone does something extra special for you and makes you feel oh-so-loved a great way to say thank you to that person for being Berry Sweet is to give them some strawberry shortcake. Or all the fixing's to make some strawberry shortcake. 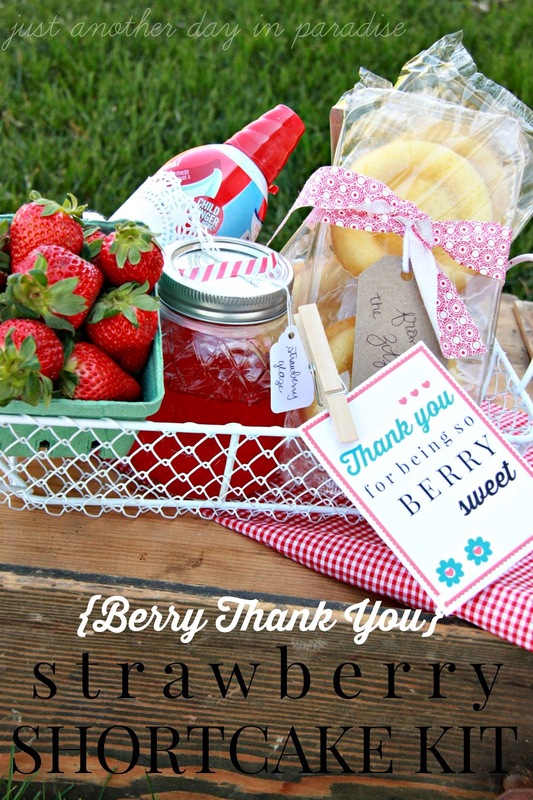 Today I am over at Thirty Handmade Days sharing the printable tag for this Thank You Strawberry Shortcake Kit. 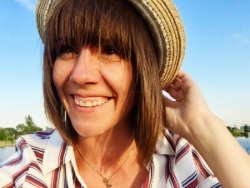 Make sure you head on over and say hi. Leave a comment. Pin it. Share it. Download the printable and make someone's day with a Strawberry Shortcake Thank You.